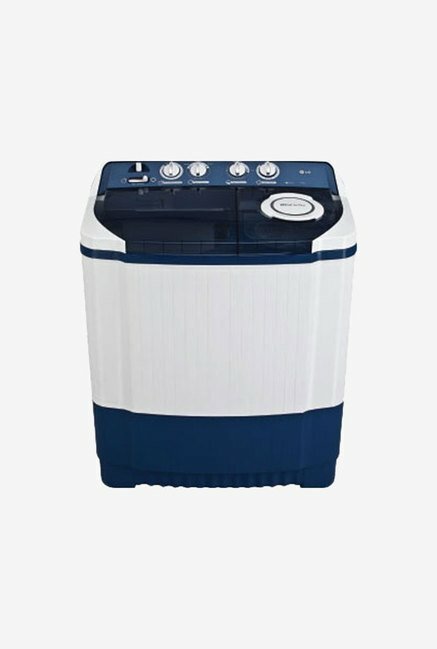 The price for LG 7 kg Semi Automatic Top Load Washing Machine ( P8072R3FA ) is valid across Bangalore, Hyderabad, Chennai, Mumbai, Delhi, Pune and Kolkata. The LG 7 kg Semi Automatic Top Load Washing Machine ( P8072R3FA ) is available at best price of INR 11376 on TatacliQ. 1. I am satisfied with product look and performance. Only one thing which I don't like with Semi Automatic Top load washing machine is Top cover is fully removable type, there are chances to fall down and get break. Apart from that its nice product. 2. Delivered the product on time. 3. I got good deal with Flipkart offer. It is worth buying for good washing, draining and drying performance . I purchased this after doing a lot of research in the market and online. This was a good deal in terms of price and quality. Delivered well before anticipated date of delivery.